The Radio Transmissions Will Be Resumed Soon. 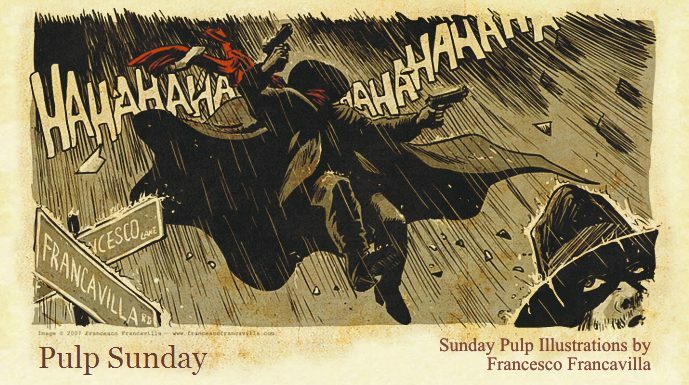 I usually try to keep one spotlight a month so we can have room for the radio episodes, but when I heard today the sad news of Dave Stevens passing away I felt I had to spotlight his most famous creation which is, undoubtly, Pulp at its core. And it's also the occasion to celebrate the man himself. I met Dave at a couple of shows and in both cases he was in company of our common friend Jim Steranko. The last time we met was particularly nice as it was away from the chaos of the convention but in the comfortable and realxing enviroment of the hotel lounge. A very good person, a real nice and classy guy. We'll miss you, Dave. 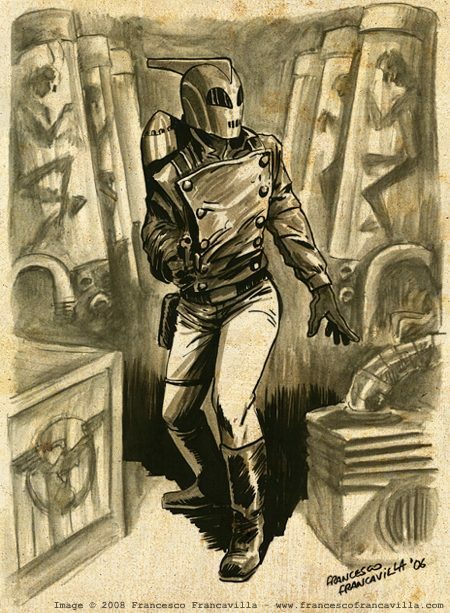 The Rocketeer has been created in what we can define "recent times" but its settings and the art deco style of the illustrations make it feel like it coming out straight from the '30s. 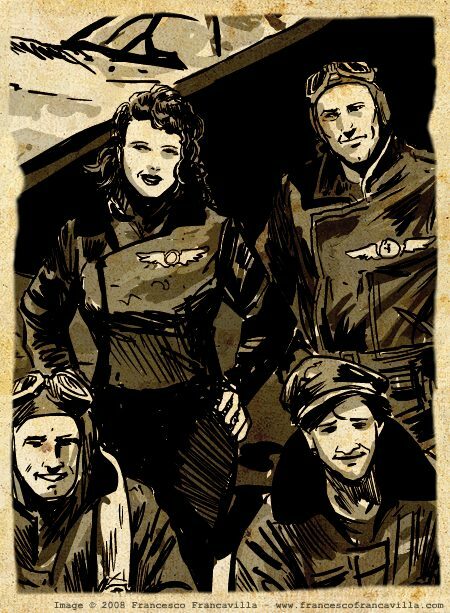 Accidentally becoming a superhero after finding a (cool) jetpack and with a helmet that seems inspired by Commando Cody, pilot Cliff secord battles nazi spies and evil villains while surrounded/helped by beautiful women who are the paper version of pinup moodel of that period like Bettie Page. 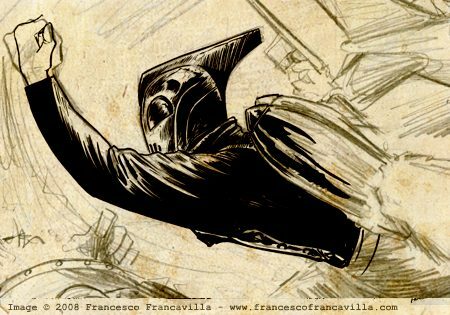 The Rocketeer was so popular that eventually got also a big budget movie feature which was quite enjoyable in my opinion. I still listen to the soundtrack every now and then while working on my stuff. 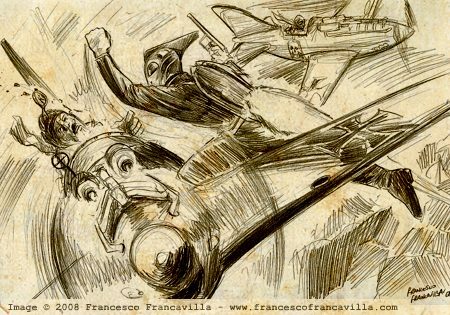 Speaking of which, I will definitely get back to that Rocketeer pencils (see above) and finish to ink them as my tribute to the great Dave. 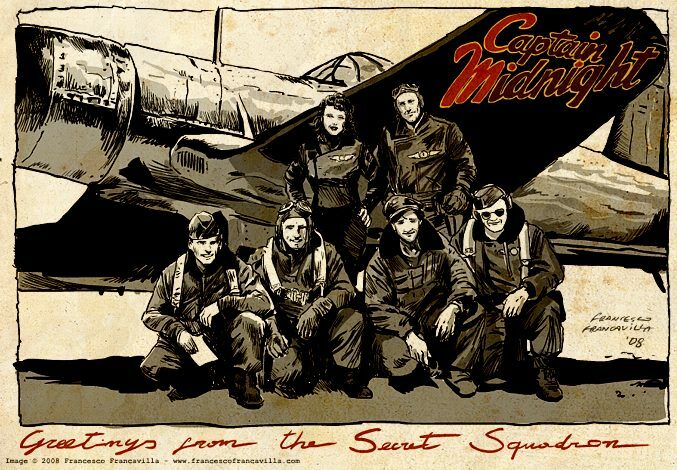 Captain Midnight began as a radio show in September 1940. The first comic book appeared in July 1941. Captain Midnight was really the aviator Captain Albright, who was to defeat the Nazis. A movie serial was made in 1942 and a comic strip was published for a short time. The comic book Captain Midnight ended his career in 1948. The radio premiums are the prized collector memorabilia today.